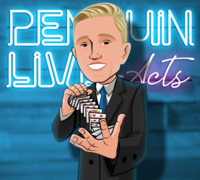 Sebastian LIVE ACT (Instant Download) A bulletproof 20 minute act that fits in your pocket. Polished over 9 years of real-world performance. SUPPORT LIVE MAGIC. START LEARNING THE FULL ACT TODAY.